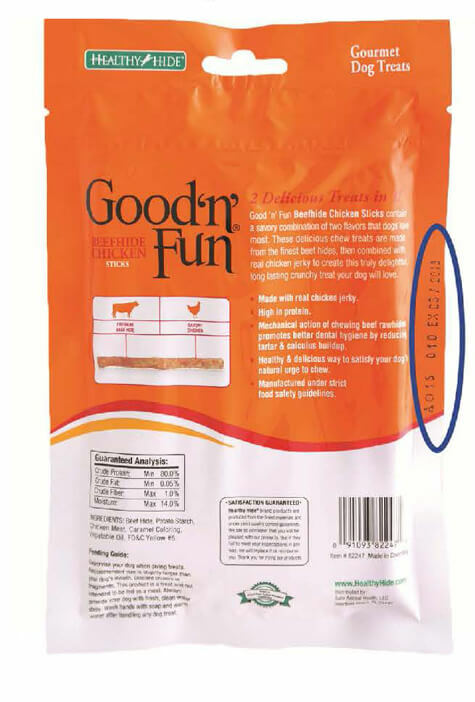 October 25, 2015 — Salix Animal Health of Deerfield, Florida, is voluntarily expanding its recall of “Good ‘n’ Fun Beefhide Chicken Sticks because the product may be contaminated with Salmonella. No other product is affected at this time. Customers should look at the item number, and expiration date on the product package to determine if it is subject to the voluntary recall. Sampling conducted by the Georgia Department of Agriculture confirmed the presence of Salmonella in an additional lot of this product. In an abundance of caution, Salix Animal Health is expanding its original recall to include the tested lot and others made around the same time frame. 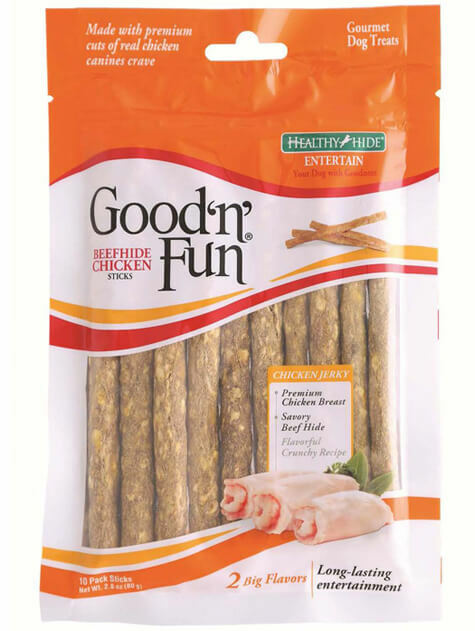 The recall affects Good ‘n’ Fun Beefhide Chicken Sticks only. No other product is affected by this announcement. Infected, but otherwise healthy pets can be carriers of Salmonella and infect other animals or humans. Salix Animal Health claims they are taking steps to prevent it from occurring in the future. The company is also working with retailers to ensure that the affected product is removed from inventory and is no longer sold. If you have these products, please contact Salix Animal Health’s consumer affairs team at 800-338-4896, Monday through Friday between 8:30 AM and 5:00 PM ET for a refund. Press inquiries are asked to contact Connie Caldwell at 314-683-2460, Monday through Friday 9:00 AM through 6:00 PM ET.